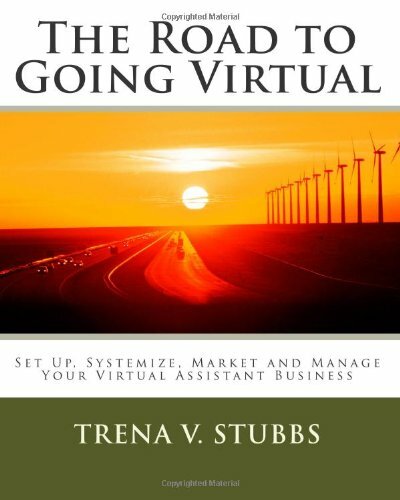 In The Road to Going Virtual, author Trena V. Stubbs takes you step by step through each phase of setting up your very own Virtual Assistant business. 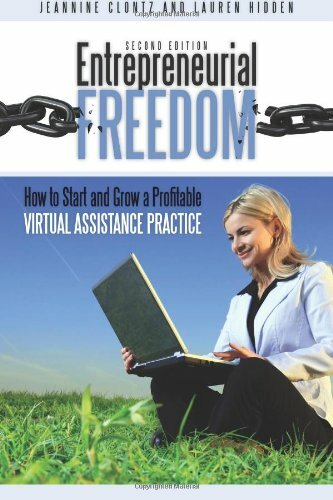 This book isn’t your standard small business guide that gives you a lot of generic information. It’s tailored specifically to the Virtual Assistant Industry. If you are ready to start or revamp your home based business, I encourage you to order your copy of The Road to Going Virtual. The hard copy arrives in 3-5 business days and the e-copy is available within minutes of placing your order. See What’s Inside. . . . * A detailed explanation of what a Virtual Assistant is and the skills required to be successful * Services you can offer and which industry each service targets * Recommended training programs and coaching services * How to identify your niche * How to package your services * Successfully marketing your Virtual Assistant business * Managing clients * Pricing your services * Effective time management * Client billing * Small business bookkeeping * Creating a business and marketing plan * Virtual Assistant resources and templates A Virtual Career is a good fit for you if. . . . . . . . . . . . . * You need flexible work hours because you have young children * You’re a stay at home mom looking for a way to bring in some side income * Your husband or wife is in the military or travels a lot with their job and you’re looking for a portable career; this career allows you the flexibility to move when your spouse moves What’s So Great About Being A Virtual Assistant? * Flexiblity – create your own work schedule * Financial Freedom – you set our own rates Start Your Virtual Career Today! T-Shirts to show off your Virtual Assistant business. Spinning Your Wheels With Social Marketing? 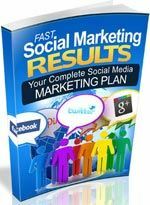 Get Results in Just 15-30 Minutes a Day Without Spending a Dime on Ads! QuickBooks allows you to organize all your business finances in one place. Comprehensive Video Training, Coaching, and Resources for TechSmith’s Camtasia Suite of screen capture software and all things “screencasting”! The IPS Community Suite is a flexible, integrated set of apps for building great communities on the web. Discuss, share & interact like never before.